Within Teamwork Desk you can add new custom ticket types, in addition to the default ones. To set these click on your profile icon to the top right of the Desk navigation bar and choose Settings from the dropdown. Select Company from the setting options. 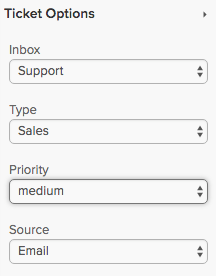 Once in the Company settings in the left-hand pane, you will see the option for Ticket Types. You will now see a list of current ticket types such as. 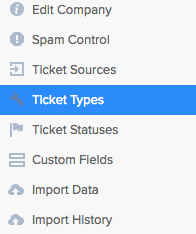 To add to these, type your new ticket type name into the bar at the bottom of the current list and then select the green Add option to the right of the bar. 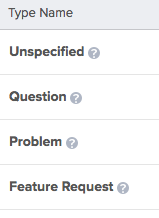 Once you have clicked add, the new type will appear on the list. When viewing a ticket, you can now change the type to the newly created one from the right pane.